This delightful spread is deceiving in that it contains no butter or other dairy products. There are only 5 ingredients – but the results are amazing! Not all the apples that fall from a tree are grocery store perfect – this is a wonderful use for them which can be canned via water bath methods found in many food preservation books or simply jarred and placed in the refrigerator. This deep brown spicy spread is wonderful on toast, bagels, and breads of any kind. 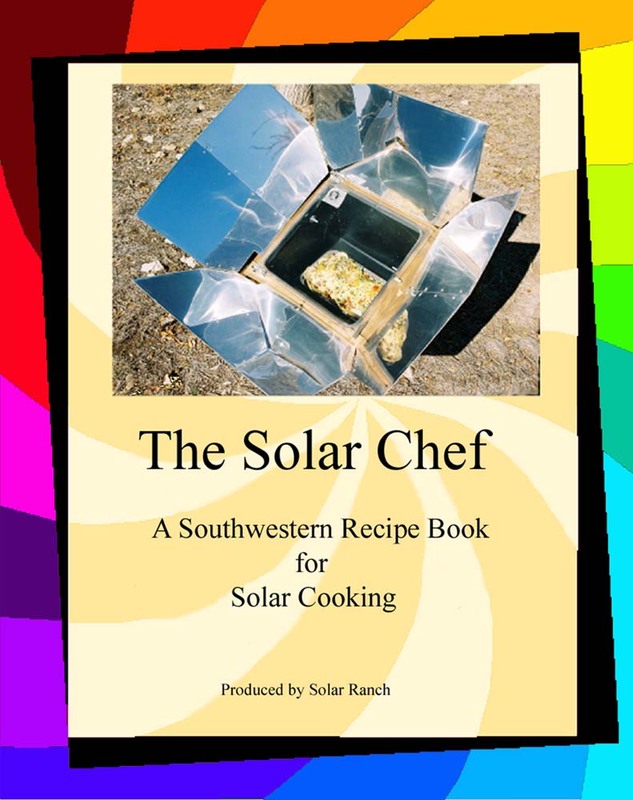 Toss all ingredients together in a pot large enough to fit in your box solar cooker. Do NOT add water Place out in the sun in the morning by about 9am to ensure necessary cooking time – attempt to maintain a temperature between 170 and 240 degrees. Stir ingredients once or twice during the day. By the time the sun sets the apples should have reduced to a dark brown color. Remove the pot to the kitchen and mash all ingredients together with a potato masher or use a cuisenart. From here you can use the Apple Butter directly in recipes or on bread, store in refrigerator or process it in jars via approved fruit canning methods. Or take it a step further and make it into a delicious fruit leather! Here’s a way to make use of the hordes of zucchini which are just beginning thier annual campaign to take over the world! The recipe has options to make it sugar free and/or gluten free. The loaf pictured here is both and delicious! Mix together the Zucchini, sugar, oil, vanilla and eggs, then add in the rest of the ingredients with nuts or raisens being the last into the bowl. From here it depends on your style of cooking. SOLAR OVEN: Only bake in full sun – no clouds! Preheat to at least 300 degrees – though if possible you’ll want it as close to 350 degrees as possible. Since zucchini bread is more of a cake than a bread, you can use a 9″x 9″ cake pan and toss it all in or use 2 bread pans. Grease them first to make it easier for removal. Set the pans in the oven and adjust the direction of the oven every 15-20 minutes to achieve maximum sun angle. It’ll be done between 1.5 and 2 hours. When you see the top crack a bit open the oven and do the toothpick test for doneness. 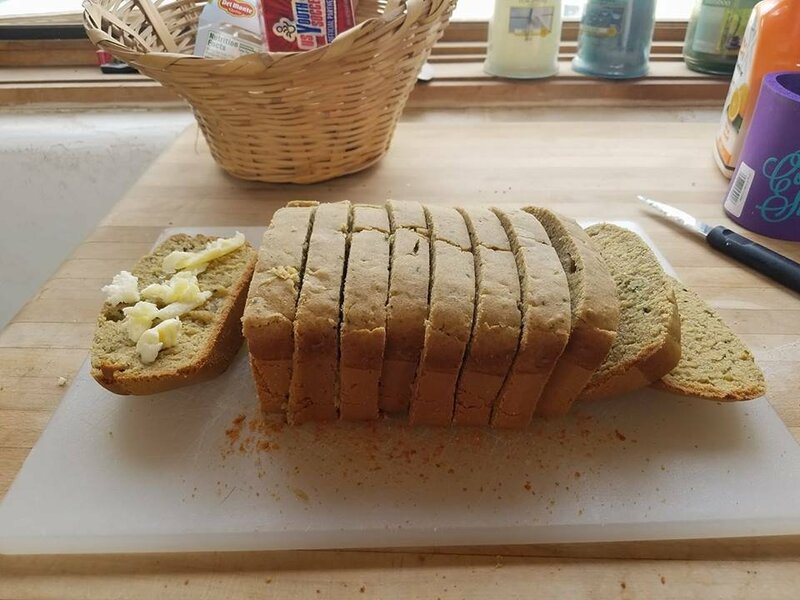 BREAD MACHINE: Using a 2 pound loaf type bread machine, grease the pan and use the entire recipe. Use the “bake” setting. It starts to smell good after an hour, but it should be done in about an hour and 45 minutes. Conventional Oven: 350 degrees one hour and ten minutes to 1.5 hours if split into two loaf pans.